In estudiargratis.net games collection that keeping updated. 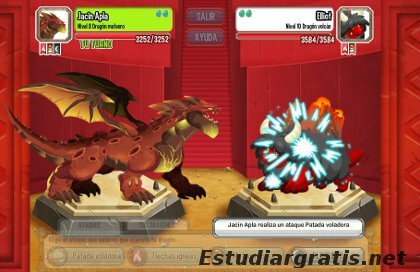 Leer esto en español (This reading in Spanish): Juego de dragones con combate. Super Mario, free game to download. NFSW excellent online car racing 3D game. >> Go to: Games free to download. 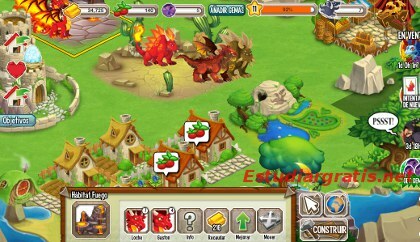 Dragon City, is a free game (with option to buy accelerators), with dragons thematic. It works in PC, Tablets and some modern cell. It develops a city with different dragon farms. There are over 120 dragons that can develop, and continuously added any new. With the dragons can compete against other players to gain experience and gems. The game is 2D, and online; for free. It's a game for all ages. By lose any competition, not lose the dragons. There are missions and opportunities to get dragons. For example there is an event," black market of dragon" that for give gems( the money in the game) it gives random a dragon. Gems can get it to go playing, or maybe buy it with real money. Arise different opportunities, bonus and other that can get. -Review and presentation of games in Estudiargratis. net. The game has enough variety of options, of experience/ level, climbs virtually every time is completed something, even to collect food for dragons. I tried the game on Facebook. com and I liked, in addition there will appear your friends that are playing. There are plays in a computer by the web browser. For some Tablets and Phones there is an application to download. Official links for download (two options). 1.Blessed is the man that walketh not in the counsel of the ungodly, nor standeth in the way of sinners, nor sitteth in the seat of the scornful. 2. But his delight is in the law of the Lord; and in his law doth he meditate day and night.